The Bay Bomb - Pop of pastel. Not all the people love bright Colors or blacks during summers. Pastel and soft colors have a natural soothing effect, making them a summer staple. 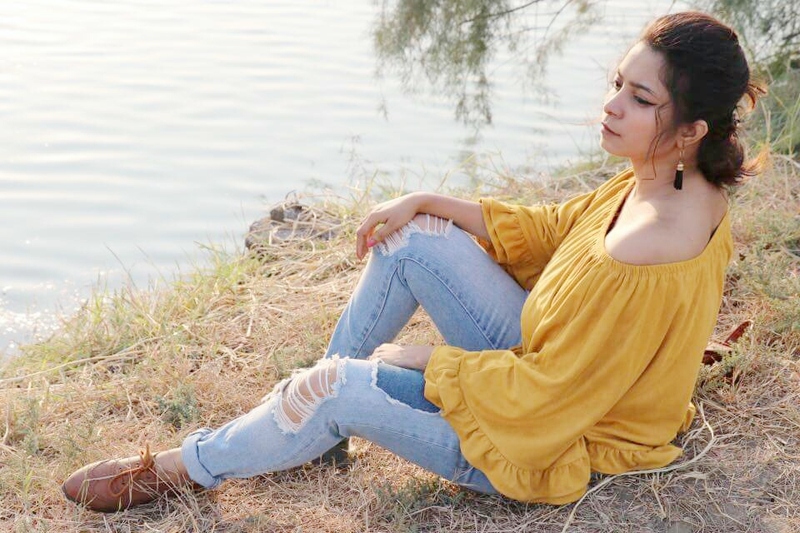 It's also the best option for the times when you have to act all lady like and dress up the same way, while going out with your parents or for a formal event or function. And also at the times when you want to look a bit sophisticated, pop of pastel might just help you. Namaslay everyone! How you doing​? 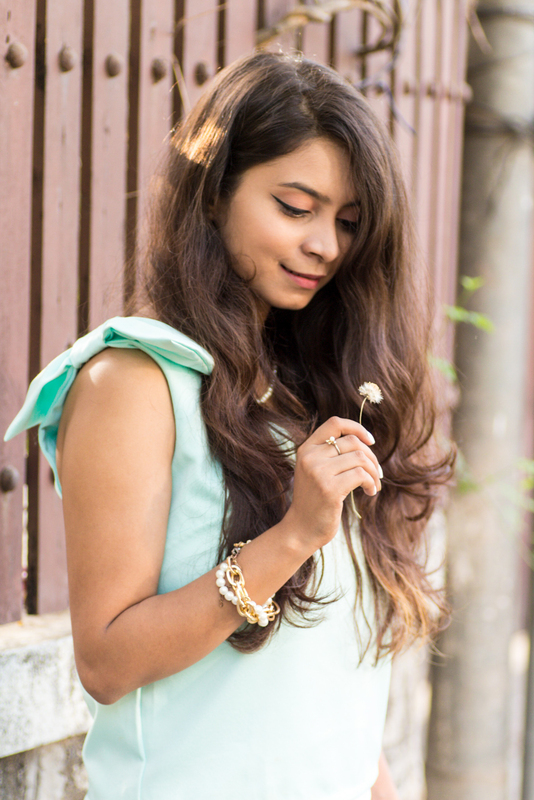 This one's all about a pop of soothing pastels to keep you cool this summer. 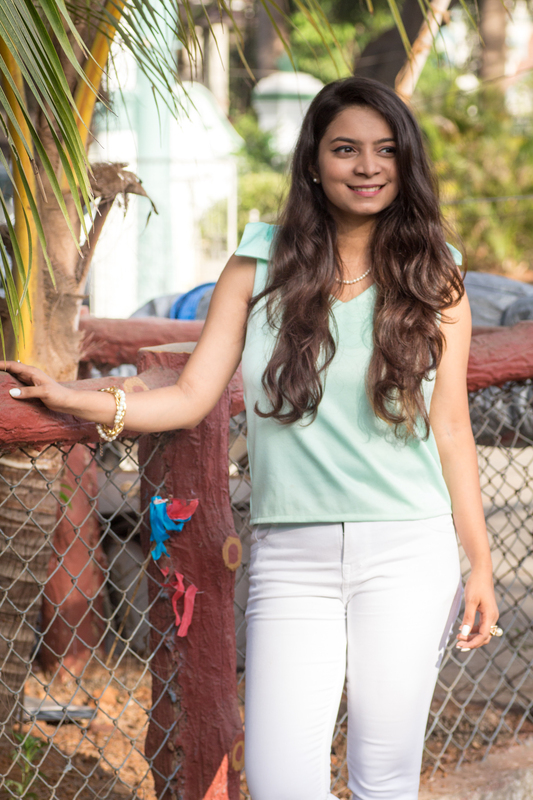 To begin with, the pastel top that I am wearing in the mint color, bought from a shop called N-more. You can find these shops in Borivali and Malad. Sometimes when you are too lazy to go any far for shopping or don't have time, N-more is your savior then. It has quite a trendy collection along with prices that are not as high as brands but not as affordable as Bandra/ Coloba. 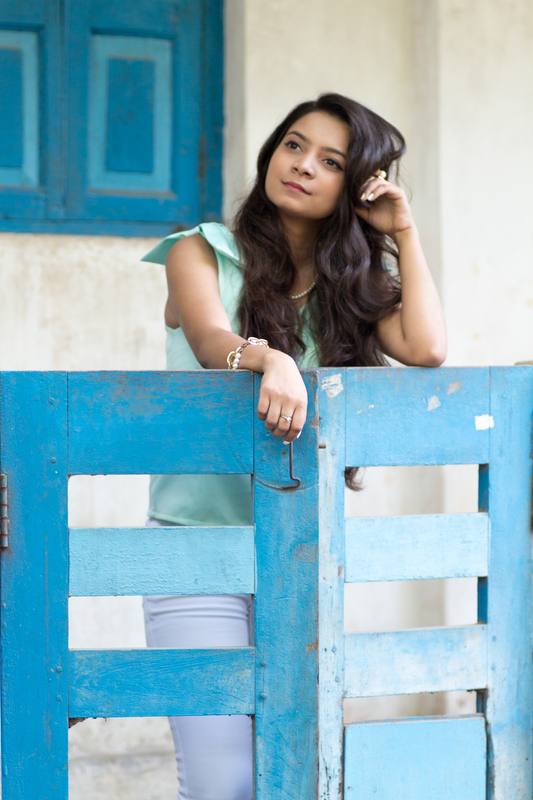 Talking about the top, pastels are just so perfect for summers and are in trend currently. The top I am wearing has a bow design on the shoulder which looks adorable. It has an overall chic look. 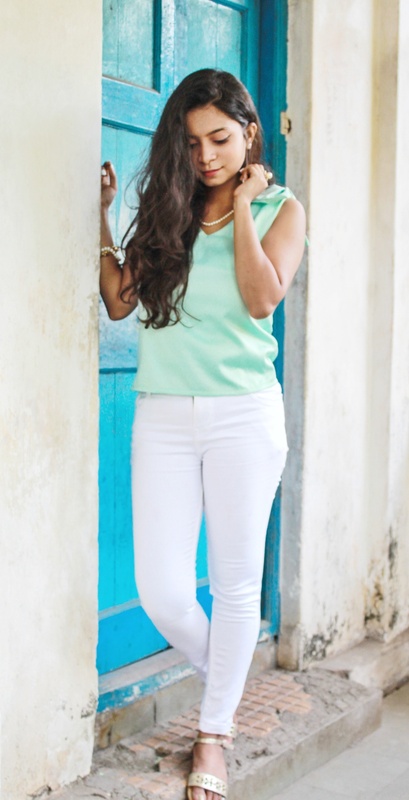 You​ can wear any of such light, soft pastel colors either as a bit fancy tops or shirts, whatever you prefer. Teamed it up with a white skinny pants, one of the wardrobe staple. Since you know wecan never have enough of whites and blacks. Plus you can top it up with almost everything. When it came to accessorizing I went all overboard with gold and pearls to jazz up the look. I have this pearl necklace and studs going on which are pretty classic pieces we all own since childhood. I love how pearls give you those lady like feels. In one hand I have a golden chain and pearl bracelet which I absolutely love and a cute bow ring. It is again from a ठेला in vile Parle back from my degree college days. In another I have a junky pearl ring from the same ठेला in vile Parle. For footwear I went with my golden strap flats with diamonds and spike detailing on them. They are from a shop named La Judi in Bandra. 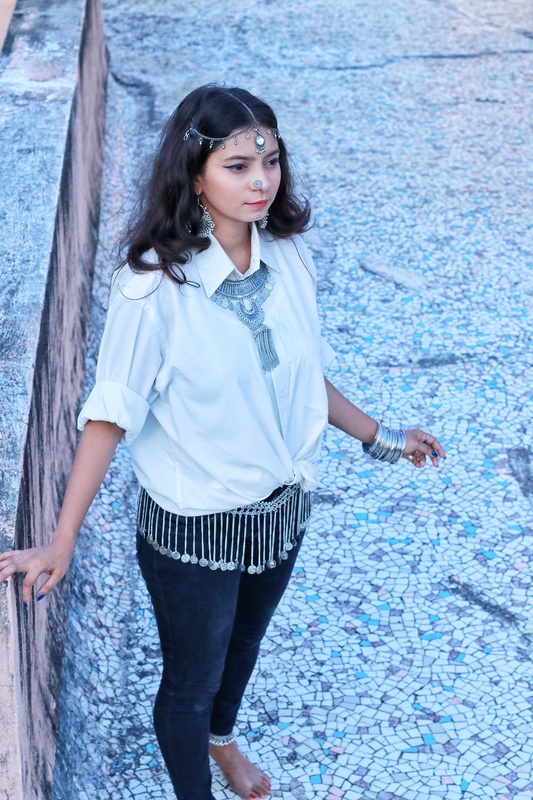 They can jazz up any outfit and you can wear with ethnics as well. You can tone the look down or take it to a level higher with accessories. You can wear it as both day and evening look. 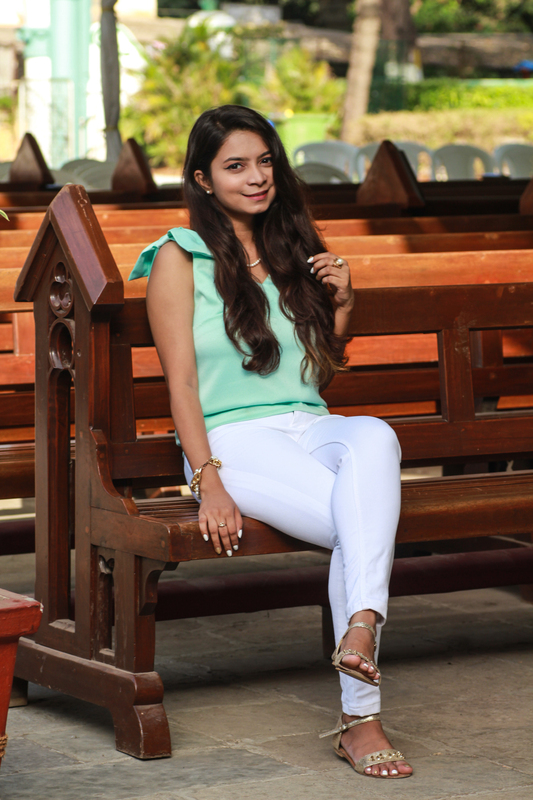 So get those white pants and pastel tops to look all pretty this summer. 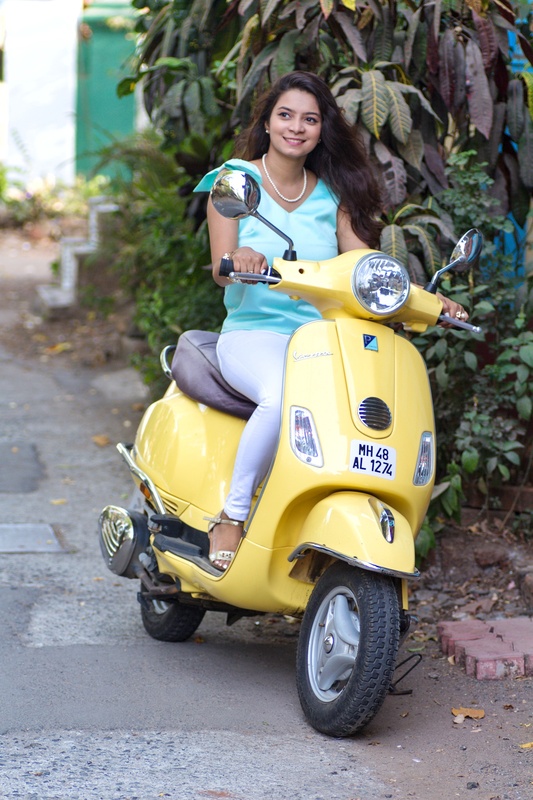 And that brings us to the end of how to add a pop of pastel to soften up the harsh summer. 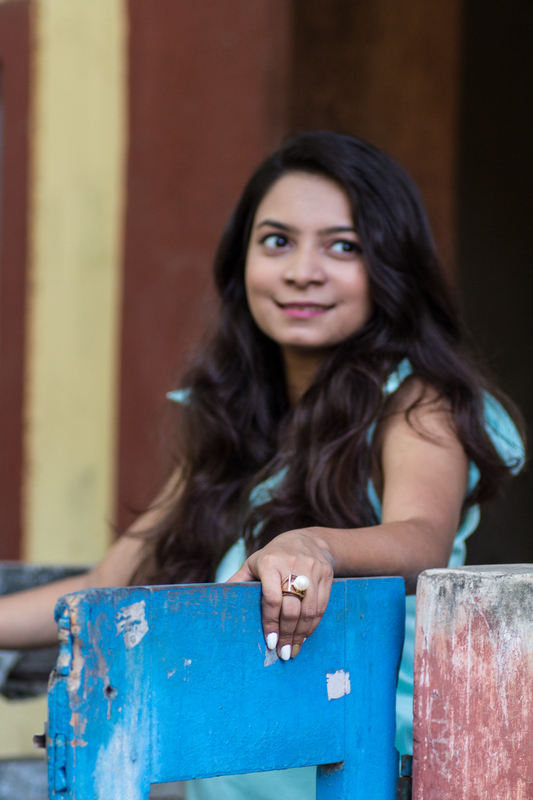 Pictures by Srishti Mishra. If you liked it please do like, share and comment down below. If you are reading me for the first time, Hey there! Scroll down to know me more. Click on the follow button on the down right of your screen to receive a notification every time I post a blog. Follow me on all my social media profiles Instagram/Snapchat/ Roposo/pintrest/ vebbler : the_baybomb. Stay tuned for my next one! Till then stay bomb and keep slaying! 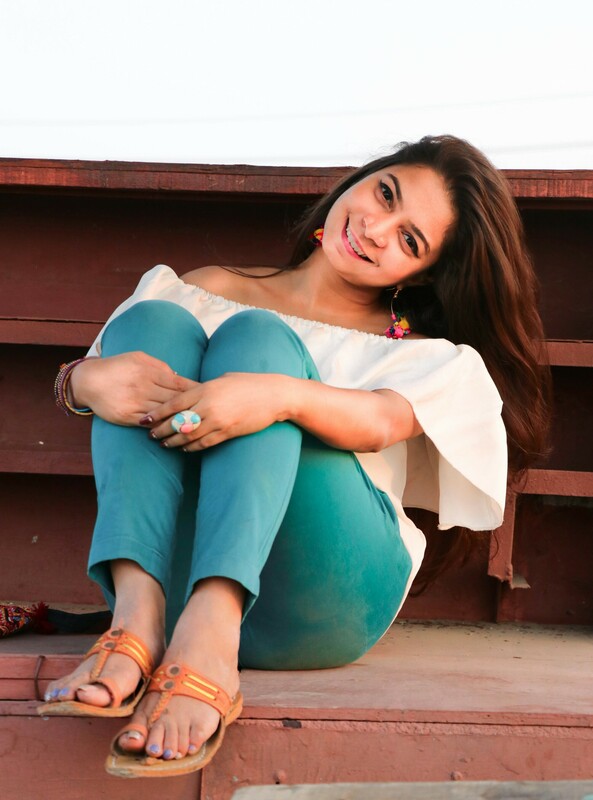 More hope, love and positivity, The Bay Bomb, Sonia Patel.